Upon arriving at the Monongaseneka Overlook this morning Bongo and I saw fit to tarry a bit and “take in the view”. And what a view it is; changing with each visit depending upon the time of day, season and the weather. One thing that is always striking is the sense of an endless forest stretching out and up the slopes of Droop Mountain and beyond. Monongaseneka Trail & Chestnut Musings. I often find myself considering what it may have looked like to the indigenous people and to the pioneers in Appalachia. If I could go back in time it would be my greatest desire to see our primeval forests. Not intending to take anything away from the beautiful forests of today, but those ancient trees of such immense proportions would dwarf today’s trees, even those we consider “old growth”. 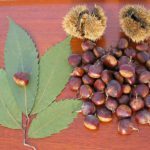 Todays forests have many of the same species of trees that greeted the earliest visitors to Appalachia with one very big exception, the American Chestnut. It is estimated that this one species accounted for 20 to 30% of the forest growth. It was one of the most important trees to early settlers. The chestnuts were an important food source for humans and animals alike. 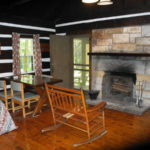 The lumber was used for fence posts and to build cabins including flooring and furniture. 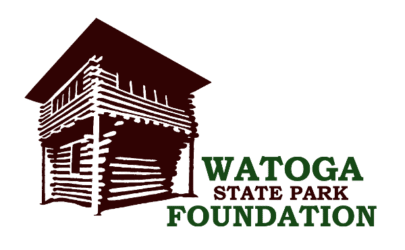 Some of the Wormy Chestnut can still be seen today in the legacy cabins at Watoga State Park. When I was a youngster an old man who remembered the American Chestnut fondly told me that the greatest thing about that tree was the shade provided by the huge thickly leaved canopy. He said that even in the dog days of August you could find relief under a chestnut tree. 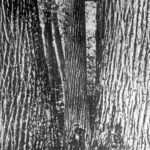 The Chestnut Blight of 1904 began to kill off the trees and once having gathered steam decimated this wonderful tree throughout its range by 1940. Knowing these things makes our existing old growth even more precious. We should, we must, be vigilant in our protection of that which is rare and struggling to become what it once was. For, as yet unknown forces, be it disease or man, will always present a threat to that which we love simply because it is there. 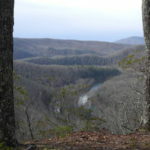 Bongo and I cleared a number of obstacles off of Monongaseka Trail up to and including the overlook today. The trail is good to go. Monongaseneka Trail & Chestnut Musings.